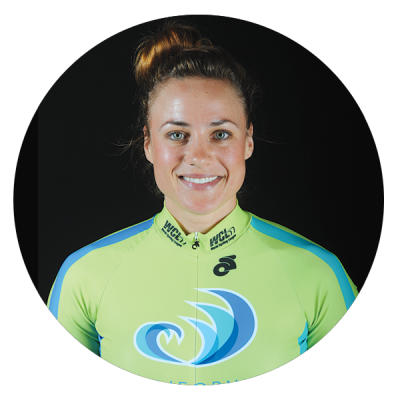 From Piedmont, California, Alissa Maglaty joins the CA Wave with a wealth of racing experience and top results on the American track circuit. Alissa is a tough, strong competitor with an outgoing personality, assertive and unafraid to attack to shake up the pack. Also known as Gator, for her fearsome sprint and aggressive riding style, Alissa brings a unique skillset of versatility with a powerful engine combined with an explosive sprint. A perfect complement to her California teammates, Alissa looks to engage the home crowd with her sizzling flare and speed.